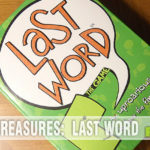 There’s a game designer whose games are appearing in our game night bag more often than any other. 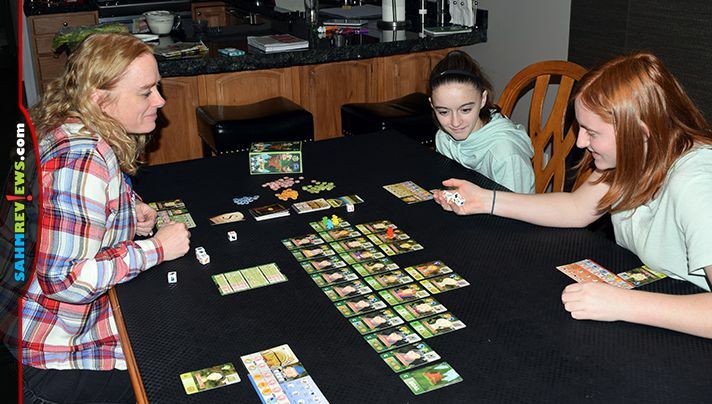 For our weekly game night sessions we typically look for engaging titles that play more than four players, are quick to teach and still require strategical thinking in order to win. More often than not we find ourselves grabbing a game designed by Hisashi Hayashi. The range of titles created by this game master is impressive. We already have a number of his games in our collection and have told you about quite a few of them. We took Sail to India with us on a Caribbean cruise. Okey Dokey is a favorite cooperative card game in our family. 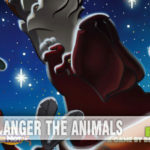 Samurai Gardener put our landscaping skills to the test while Zooscape brought our worst fears of escaping animals in a zoo to life. 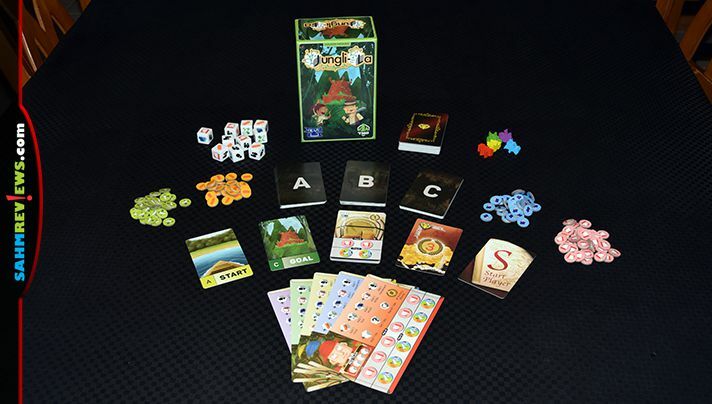 His latest, Jungli-La by Tasty Minstrel Games, has us doing the thing we like to do most – hunting for treasure! 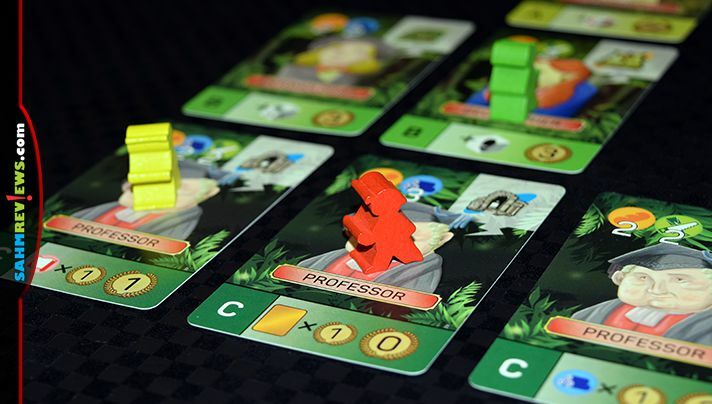 In Jungli-La, you and up to four other players are explorers searching for a fabled city of gold in a jungle. 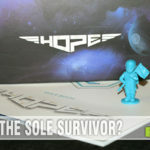 Everyone receives a player reference mat which outlines the player’s color, what the individual dice rolls mean and keeps track of how many resources the explorer possesses. Three decks of cards labeled “A”, “B” and “C” are shuffled separately and laid out in the center of the play area, forming the path the explorers will take through the jungle. Jungli-La has a pleasant push-your-luck mechanic different than other games like it. In nearly all other examples, you will have one symbol on the dice that you definitely do not want to roll. If you do, either something bad happens or you lose your turn. In Jungli-La, there is one symbol (a Red Letter) that you cannot reroll. Instead of triggering an event, when you have two or more Red Letters in your roll result, you simply must stop rolling and are rewarded for having Red Letters with additional Red Letter tokens! These can be used on future turns to allow you to reroll all of the dice, add additional dice to your roll or even change one of the dice results to something you really want. 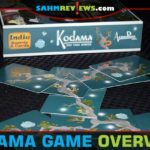 Players will roll four dice at the start of their turn. Then, if they have not rolled two Red Letter symbols, they may reroll up to two of those dice. This continues until either the player has two or more Red Letter results or they simply wish to stop rolling. They will receive one Red Letter token for rolling at least two Red Letter symbols and add them to their reference mat. They’ll also be awarded resource tokens for either one type of resource, matching the number they rolled, or one of each resource type they have. Instead, they can also opt to ‘rest’ for the round, gaining two Red Letter tokens plus one for every Red Letter symbol they rolled this turn. If you rolled any footprint symbols, this will allow you to move along the jungle path. Before or after movement, you may “discover” the card your pawn in standing on by paying the cost in resources shown on the top of the card. Collect the card and place it face-up in front of you. If you see a card you want badly but don’t want to wait until you get there, you can pay three Red Letter tokens (and the card’s cost) to discover it immediately. Alternately, you can pay five Red Letter tokens to swap it with another card you previously collected and get the new card without paying its cost. Another option is to spend just two Red Letter tokens to purchase a wagon and place it beside your reference mat, increasing the number of items you can carry. All collected cards will award you with either end-game points or an ongoing bonus like awarding you with additional dice during your roll or guaranteed results (eg. one additional wood result per turn). 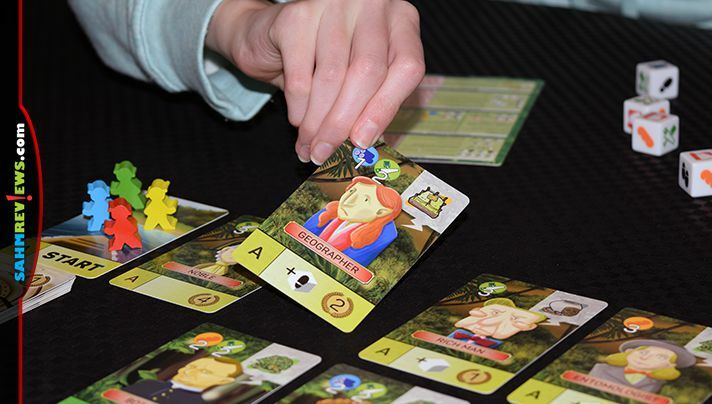 Players take turns rolling and moving along the path until they reach the last space, the Goal card. At this time that player immediately stops moving and draws a Treasure card from the top of the deck. At the beginning of each subsequent turn, if they are already on the Goal card, they will draw an additional Treasure card before rolling. Your new rolling goal is to roll identical symbols and you may cash every set of three in for an additional Treasure card! You may also spend four Red Letter tokens to gain a Treasure card as well! 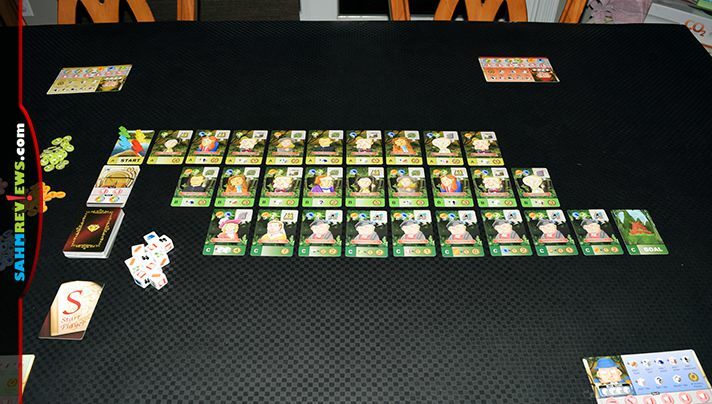 Once the specially-seeded Game End Treasure Card is collected, players finish the round so everyone has had the same number of turns. 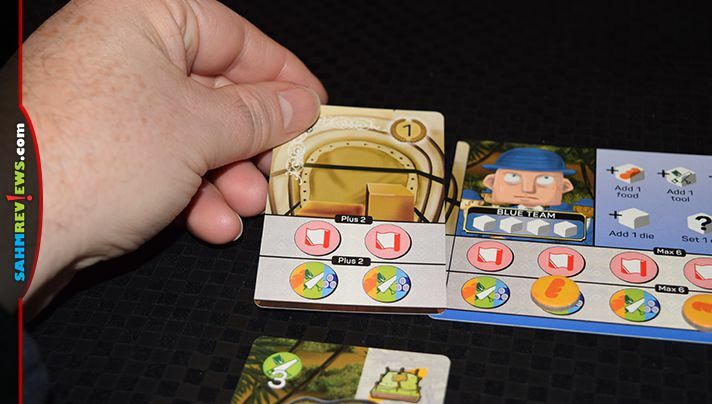 Players total their points from Treasure cards, points on collected cards (including wagons) and a bonus for having several different types of discovered cards. The explorer with the most points wins Jungli-La! 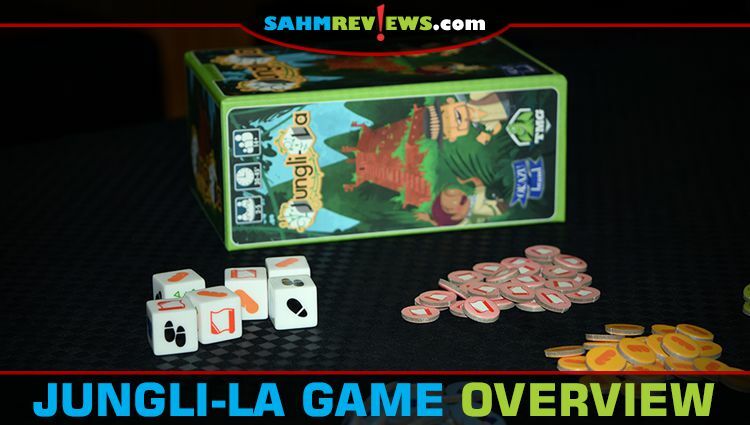 Another great game by Hisashi Hayashi, Jungli-La is the friendliest push-your-luck dice game we’ve ever played. And because it was published by Tasty Minstrel Games, you know the game is of the highest quality. After you place your order for your copy on Amazon, head over to Tasty Minstrel Games’ website where you’ll find links to their social media channels (Facebook, Twitter) and news about what other treasures they’re bringing to us avid explorers gamers! 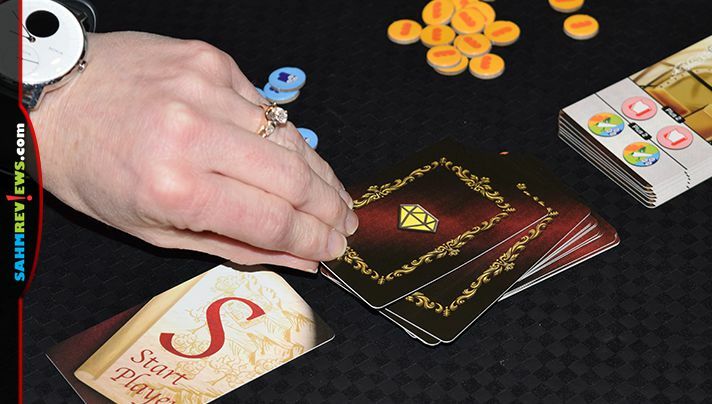 What is your favorite push-your-luck game? I hadn’t heard of this one but TMG has a great reputation. This sounds like a really fun game. I am always looking for new game ideas!